One of the things that makes Lifetime Kidsrooms Kids’ Beds so popular with our customers is their flexibility. 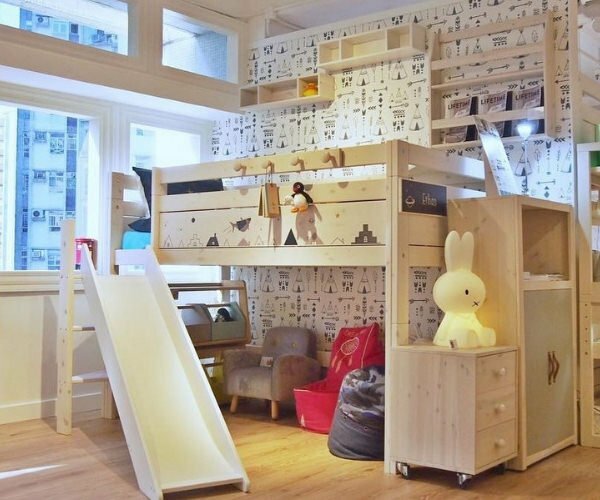 Singapore parents love not just the Scandinavian craftsmanship, but also the way they grow as their children grow. When you invest in kids’ beds from Lifetime Kidsrooms, there is a wealth of customisable possibilities. As your kids get older, their needs and tastes change, so it’s good that their kids’ beds can be customised accordingly. In this blog, we take a look at how some of our fellow retailers got on creating their own beds for their own showrooms. Each used a different theme, and a wonderfully original children’s bed is the result, every time! The first combo was a great Beach House top with a 4 in 1 bottom, as shown above. Taking the style of the beach bed. It offers the best of both worlds as the functionality of the latter has been wonderfully combined with the inspiring aesthetics of the former. This is ideal for 2-year-olds, who tend to have difficulties climbing into a higher bed. 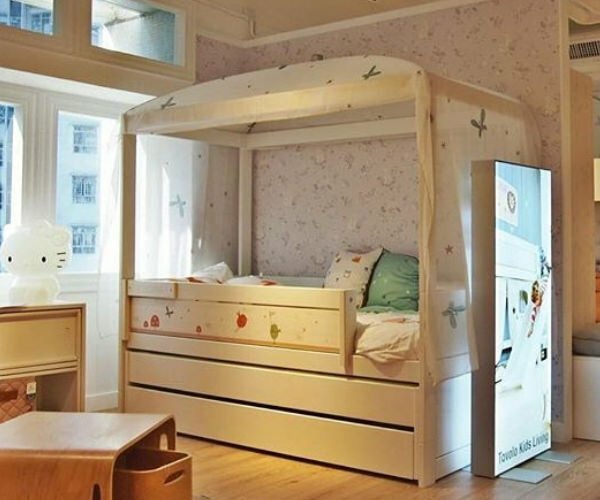 The bed guards also prevent the child from rolling out of bed! Next up, we see a combination that offers both comfort and play. The welcoming Space Dream Kids’ Bed was created with a slide attachment. No more moaning about having to leave the playground, as the fun can continue in the bedroom! Another example of the versatile mix and match capabilities of Lifetime Kidsrooms kids’ beds. For this one, the Sugar Pie Loft Bed was wonderfully combined with our standard kids’ bunk beds. This combination offered the perfect girly girl style with functionality of a bunk bed, providing either extra storage space or an extra bed! It has both style and substance, we think you’ll agree! The last creation on our list saw the Fairy Dust Kids Loft Bed with the Cabin Bed with Pull Out Bed. What this combo offers is a mix of magical, pixie dust looks with the usefulness of not one, but two pull out beds. Ideal for the Tinkerbell in your life when space is a little short, as it offers play inspiration and kids bedroom storage . What these creations serve to demonstrate is the huge amount of adaptability that Lifetime Kidsrooms kids’ beds have. Whatever your requirements, however much ever space you have in your child’s room, there is a solution to fit that need. 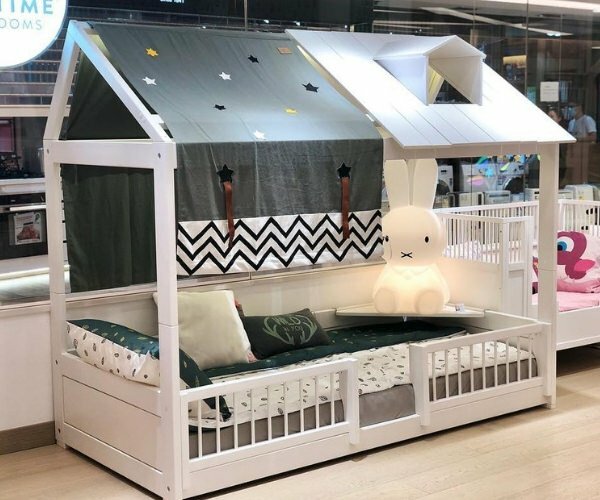 This is just another reason why we’re proud to be the exclusive suppliers of these amazing Scandinavian kids’ beds in Singapore. We thank you for reading our blog and we hope you have found it useful. We’ll be back again soon with more advice and guidance on our fantastically stylish, durable and adaptable children’s beds .